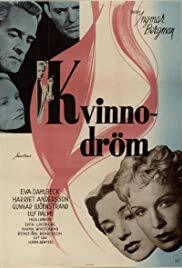 In Stockholm, the fashion photographer Susanne Frank misses her married lover Henrik Lobelius that lives in Gothenburg with his wife and children, and the naive twenty years old model Doris has a troubled relationship with her boy friend Palle Palt. Susanne schedules a session of photo shoots in Gothenburg with Doris, and once there, she calls Henrik for an encounter. Meanwhile, Doris meets an elegant middle age gentleman on the street, the Consul Otto Sönderby, who buys expensive gifts for her: a dress, a pair of Italian gloves and valuable pearl necklace. They spend the afternoon together in an amusement park and later they go to Otto's mansion, where they are interrupted by his wicked daughter Marianne. Susanne has a love affair with Henrik in her room, but they are interrupted by his cynical wife. The incidents in these encounters affect their perspective of love.